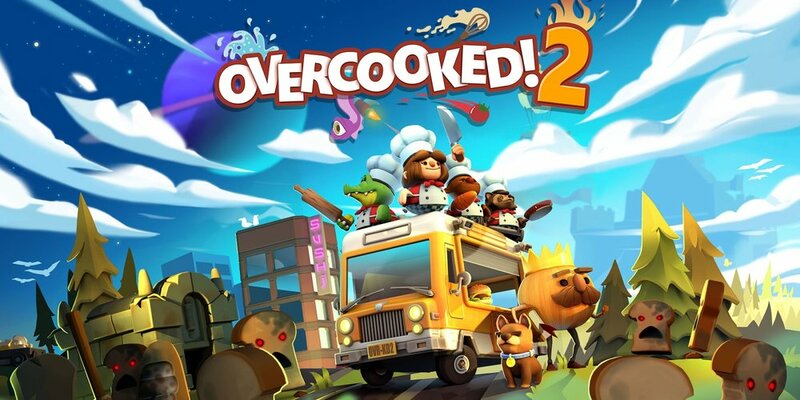 Overcooked 2 is a tricky game to play, not necessarily due to difficulty but rather due to the wild nature of it’s cooperative gameplay. The experience involves the player alongside up to 3 others attempting to maniacally work together in order to clear each level, or in this case each kitchen. The key to obtaining a good score comes from having each player communicate in real time in order to collectively function together as a well oiled machine, for example this could involve one person cleaning dishes while the others cut, cook and plate respectively. It is however a lot easier said than done; the combination of having a restrictive time limit, being forced to work in tight spaces, stopping food from being burned etc, makes the game incredibly challenging. This is where good communication shines as having a bulletproof strategy can transform the experience from being a frustrating one to being one that is incredibly rewarding and engaging. This satisfaction can be felt when returning to earlier levels with a battle hardened crew, levels that were once taxing and burdensome become childsplay as the player and their team breeze through them. That’s where the joy from Overcooked comes from, perfecting your communication skills with your team as well as finding and implementing a system for each level to have it work flawlessly. While the game has as potential to draw ire and resentment based on how each person’s respective party are like, the gratification from working together and solving problems as a team cannot be understated, it’s definitely a game worth checking out if you’re seeking for a good time or even a team building exercise that pushes you to your limits.